Is a colour deepening agent designed to increase the depth of primarily polyester, cotton. wool and their blended fabrics, dyed in black, navy blue or dark shades by post treatment of fabric. Excellent colour deepening effects are observed on other fabric substrates i.e. cotton, viscose, acetate, acrylic, wool and their blends also. Leveraging on our vast industry experience, we are providing a high quality range of Dyeing Printing Chemicals. 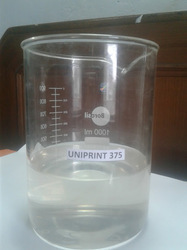 KEROSENE substitute for KHADI PRINT for Table print. - CVI - 12 is color value improver in high temperature steaming fixation for disperse dye printing on polyester fabrics. - CVI - 12 remarkably improves color value, levelness and penetrating property without any influence on the printability. Offered by us are Printing Chemicals, which find extensive application in textile industry for printing purposes. Our chemicals have gained acclamation in the market for longer shelf life and accurate composition. 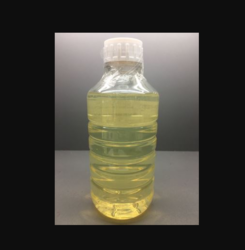 Available at competitive prices, these printing chemicals are packed with utmost care, in order to avoid any leakage during the transportation. We are dealing in wide range of High Density Paste. Fine Powder with narrow particle size distribution and good flow. : Ultra-fine powder with narrow particle size distribution and excellent flow. Rasa Discharge Liquid is a Novel Discharging Agent for reactive and indigo –sol colours .Rasa Discharge Liquid can be used in table as well as rotary printing and for fabric as well as garment printing. Riding on unfathomable volumes of industrial expertise, we are offering an exclusive range of Offset Printing Chemicals . We are involved in offering Printing Chemicals. Besides, these are tested on varied parameters to make sure that we provide only pure grade of products to our patrons. We are dealing with complete range of photographic chemicals. The photographic chemicals are Manufactured by Kodak Alaris India Pvt Ltd.